"Tetris" , arguably the world's favorite and most addictive video game, was developed in Moscow in 1985 on a computer dubbed the Soviet Electronica-60. Later that year, its creator, Alexey Pazhitnov, adapted it for players worldwide on the IBM PC platform. From then on, it has soared to great success, selling over 30 million copies on Nintendo's Game Boy system alone. After installation based on your platform, you may have a toolbar button, or a button in the launcher pad. Click the button to initiate the game console. Shapes called tetrads fall, one at a time, from the top of the playing field to the bottom. Tetrads are comprised of 4 squares arranged into 7 different patterns. The object of the game is to keep the blocks from piling up to the top of the playing field. To do this, the player must move and rotate the tetrads as they fall, attempting to fit them together. If the player can completely fill one horizontal line with colored squares, that line disappears and any filled squares above move down. If the player is unable to fill lines completely, the tetrads will stack up and eventually reach the top of the playing field. The game ends when a new tetrad that is placed at the top of the playing field is unable to drop at all due to the filled blocks. Is it possible to increase the game speed? Yes, the more lines completed at once, the more points gained. Completing the maximum number of lines at once, four, is known as a "Tetris" and can only be pulled off with straight, long rectangle tetrominoes. By gaining more points, your level raises and hence the speed of the game. There are two ways to pause the game. Either click on the options button or just minimize the game console. The game is only active when it has focus. Why the game window is not resizeable? To resize the window, click on the options button. Define a new size and restart the game. Next time the game opens, the new size will be used to construct the building. Can I play Tetris online without having to install the extension or application? 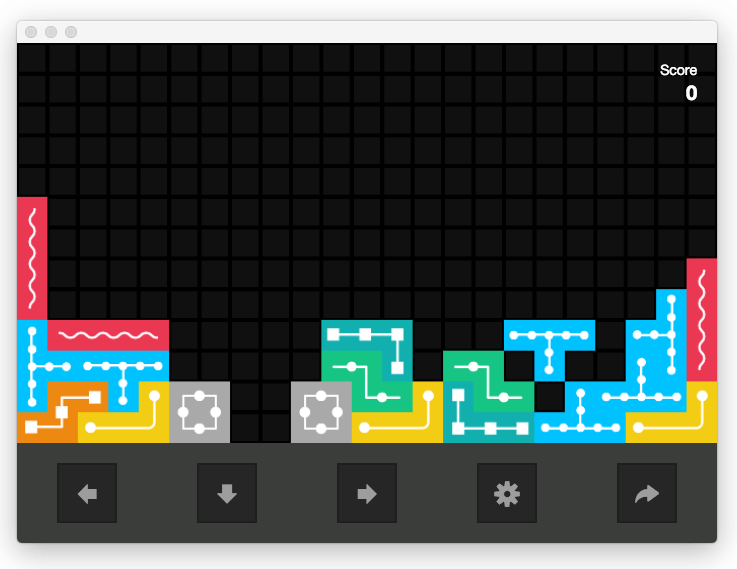 Yes, there is an online version of this application available at http://games.add0n.com/tetris/index.html.